The Chateau Rossmore, 555 North Rossmore Avenue, Hancock Park/Larchmont. 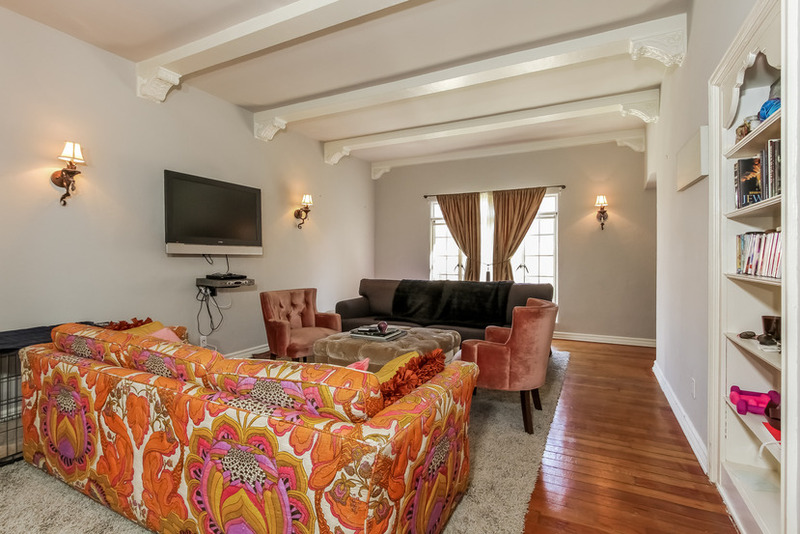 Walk to Larchmont Village, Melrose, Wilshire Country Club, Paramount Studios, minutes to The Grove/Farmer's Market, CBS Studios. Design District, Sunset Strip, WeHo, Beverly Hills, Downtown, Hollywood/Vine. Upper, 2nd FL (3 floor property with elevator), courtyard-view, hardwood floors, beams, high-ceilings, gated subterranean parking for one car, monitored entry, vintage stove, stainless fridge, ample closet space, great lighting, light and bright, faces north and south with a bit of a city view. Property has a roof deck with city view, small work-out room and a lounge for meetings. Laundry on premises.